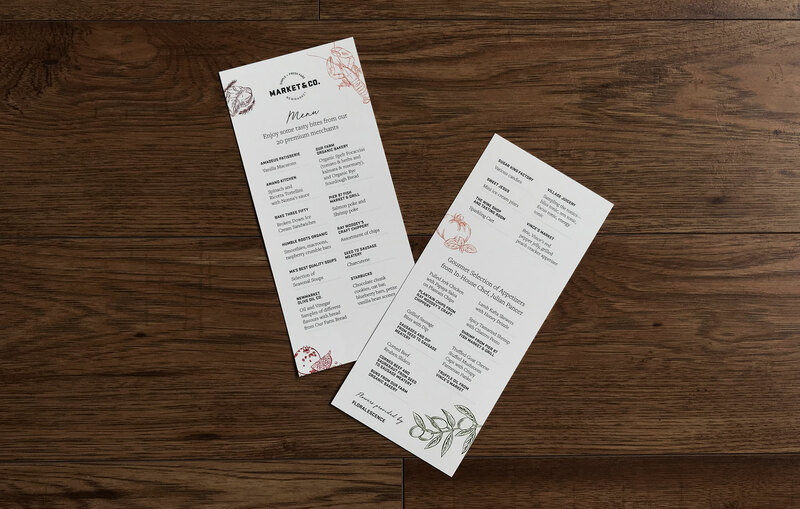 It’s a lot of work to make sure every last detail is perfect and ready to go on the day of a grand opening. 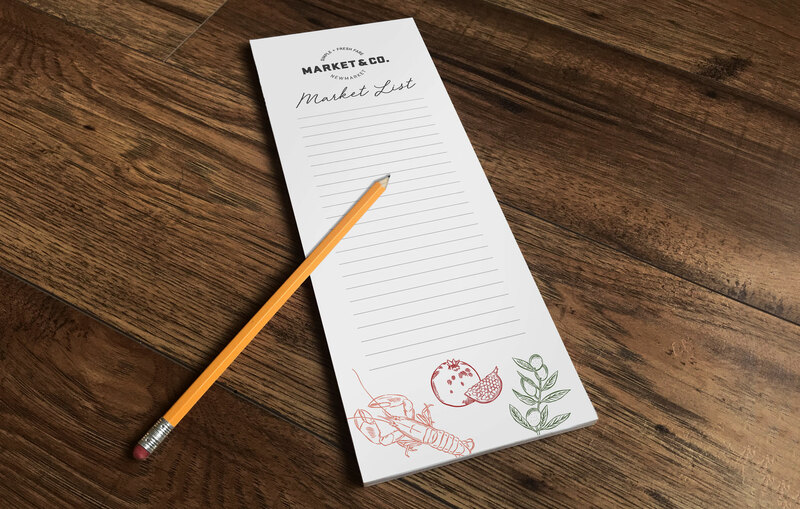 For the launch of Market & Co., an exciting new food experience in Newmarket, we tackled a laundry list of marketing collateral. 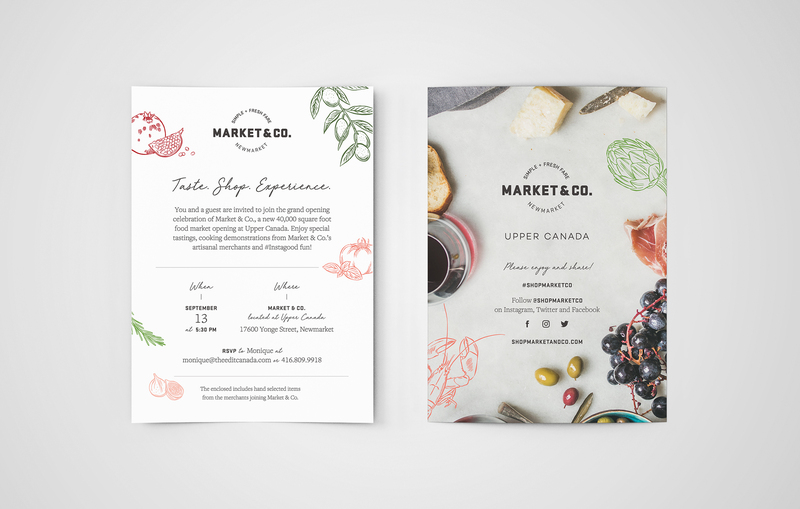 Each piece was designed to stay on brand, complete with tasty typography, a delicious colour palette, and ardent attention to detail. 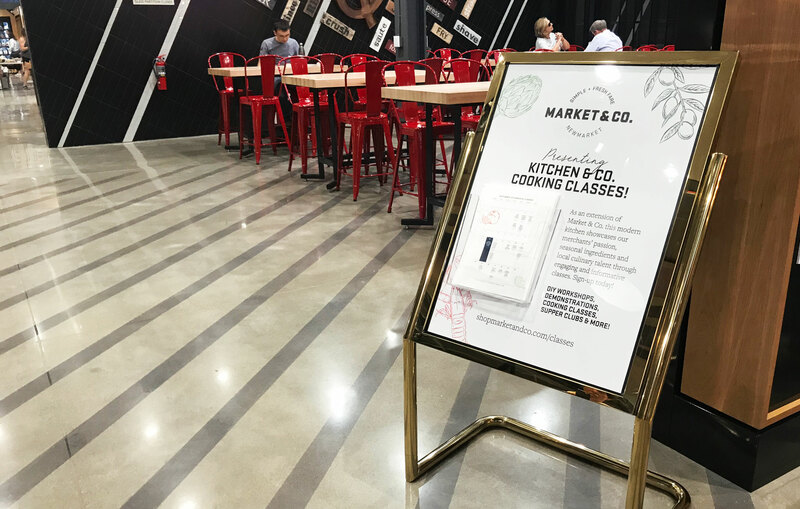 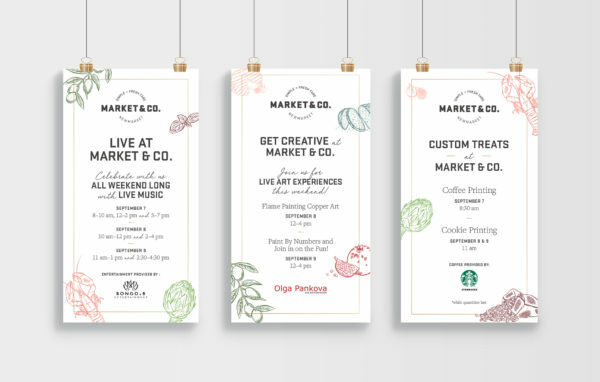 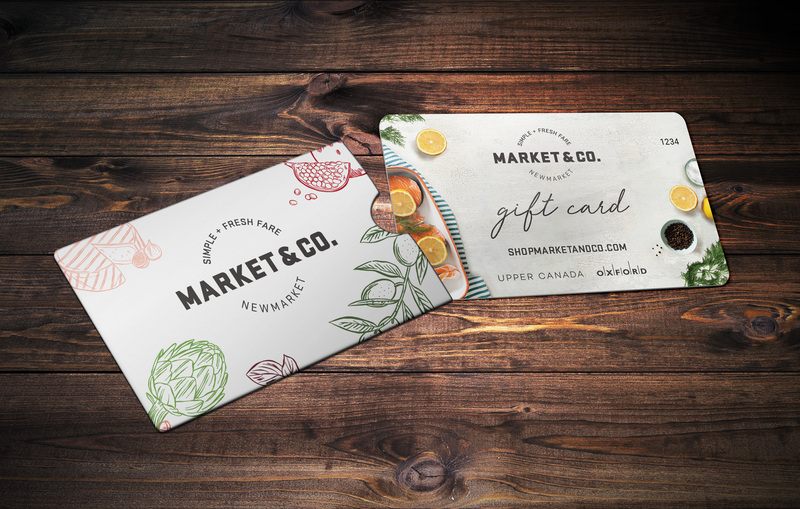 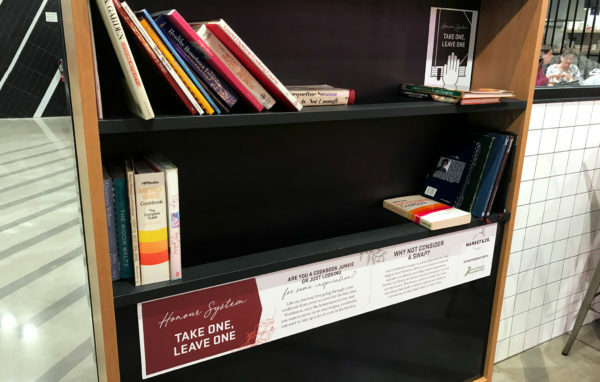 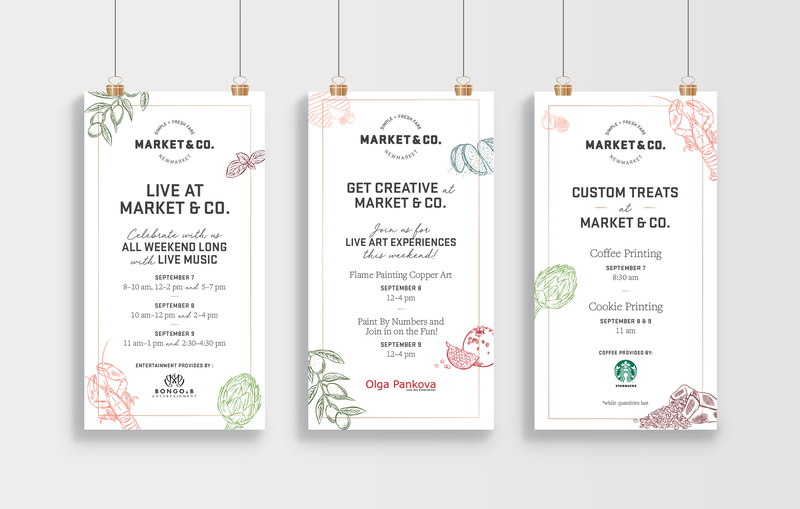 By preparing beautiful and diverse collateral we helped ensure that every last aspect of the grand opening of Market & Co. would be both cohesive and memorable!